Today is National Dress Up Your Pet Day, an "unofficial" holiday that was started back in 2009 by Celebrity pet lifestyle expert and animal behaviorist, Colleen Paige. The purpose for this day to show off your pet by supporting pet fashion. They say that clothes should fit a person's or in this case your pet's personality and I couldn't think of a better way to dress up Bruin, our ladies man! 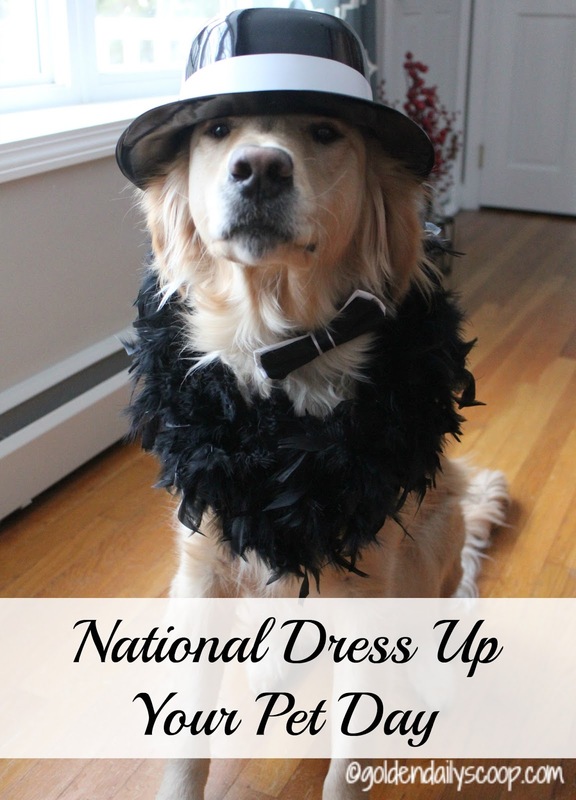 Be sure to follow us via Instagram, Facebook and Twitter as we will be sharing photos of all the Goldens dressed up! We are joining Ruckus the Eskie and Love is Being Owned by a Huskie, the co-hosts of the Thoughtless Thursday blog hop. You look glamorous! Mr. N is wearing something similar in our post today. I just realized your Dog has better fashion sense then I. I need to go shopping :-) She's a beauty. Looking mighty fine there, handsome dude! 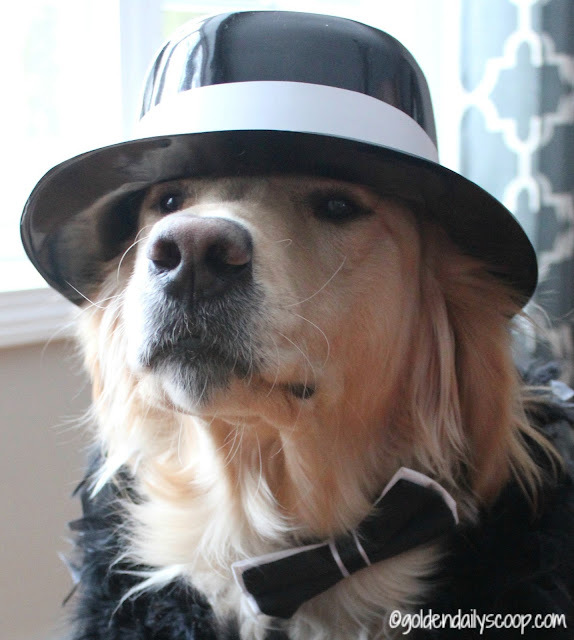 Bruin, you look so debonair....we love it!